With millions of Americans heading to college every year, some professionals are finding it harder and harder to stand out in their industry with the influx of new talent. 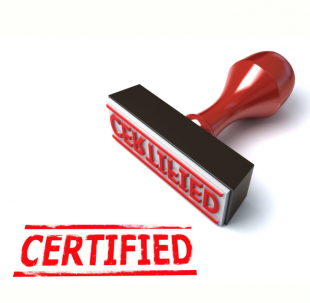 Certifications offer a tangible recognition of skills and experience that many companies use to weigh title and pay. Some certifications can even be partially completed through elearning providers like OpenSesame! After studying comprehensive articles describing the top certifications in America, the team here at OpenSesame has compiled an lists of certificates that net the biggest pay and lead to the most career tracks. Almost every source listed a CCNA as their number one certification both in ease and in payout. Although some programs may net a higher average salary, for the time and money invested in obtaining a CCNA, it has the most worth to your career. As one of the most basic certifications, successfully receiving a CCNA can put you on a track to information systems careers anywhere from operations to design. As a higher level certification, a CRISC certification can lead to careers and jobs previously unattainable for IT professionals, such as leadership. By understanding both the Information System as well as the business side, CRISC certified employees add another dimension to a company. There are a couple drawbacks for this certificate however, which include the testing times (only twice a year) and the experience qualifications (must have previous experience in Information Systems as well as Risk Management of some sort). The PMP certification allows employers to see your value at a larger scale. The certification proves that you understand the cycle of project management, and the steps to executing a successful project or product launch. You must complete 35 hours of training and have 4,500 hours of experience in addition to a bachelor’s degree, but if you can successfully complete this course, you will join a community of over 1 million PMP certificate holders around the world who are overseeing the next big things in industries as diverse as tech and construction. The CISM certificate is provided for upper level employees in IT professions to demonstrate a deeper understanding of security issues as well as industry standards. People holding a CISM certification make on average $125,000 a year according to Forbes, third on the list of certified professionals. This is meant for experienced IT experts to push their resumé over the top. No matter what your interests are, OpenSesame has courses which can further your career, as well as lead to exciting new ones! Check us out now at OpenSesame.com and see where life can take you. Information from CNN, Global Knowledge, Forbes, LinkedIn, and PCWorld.